Russian special services are stepping up security measures on its public transport systems following the terrorist act at Domodedovo Airport. ­The Federal Security Service (FSB) will increase its presence not only on public transport, but in busy public places as well, the service’s First Deputy Director Sergey Smirnov has said. Additional measures are being considered at the government level, he told reporters in Tashkent, Uzbekistan on Friday. Terrorism still exists, so “the vector of the FSB’s work” is being extended, he noted. Russian law-enforcement agencies are trying to improve the coordination of their activities on the transportation infrastructure. Certain work patterns will be changed, Smirnov said. The FSB presence will be increased in busy public places as well. Currently, the Interior Ministry’s special department is largely responsible for security in the transportation system. The blast at Moscow’s Domodedovo Airport in January which killed 37 and wounded more than 170 revealed flaws in Russia’s transportation security system. 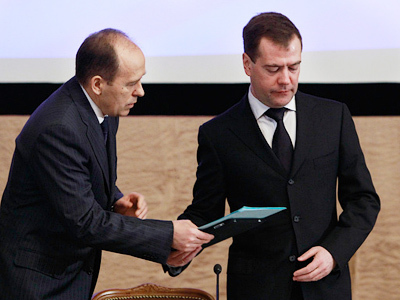 President Dmitry Medvedev in February ordered a major reshuffle of law-enforcement agencies. Public safety, including transport security, should be the main objective, he stressed. Beefing up public security against terrorist attacks in all areas is a priority for police and special services, Medvedev said at a meeting with the heads of law-enforcement agencies to boost their efficiency. 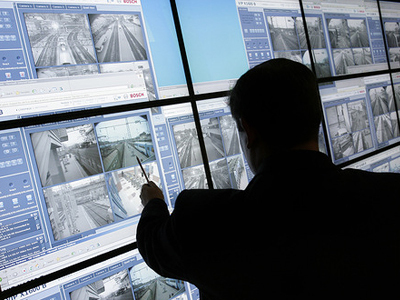 The president personally checked security measures at Vnukovo Airport, Kievsky railway station and the Moscow Metro. 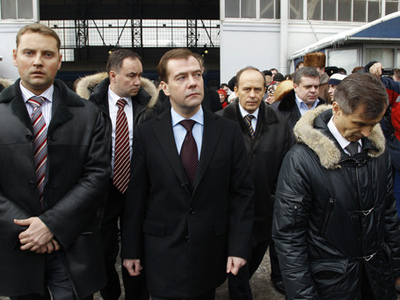 Police guards at the airport were not enough, Medvedev said. But he noted that there was more discipline and order there than at the railway station. He also checked metal detectors that are intended for use on the Metro. 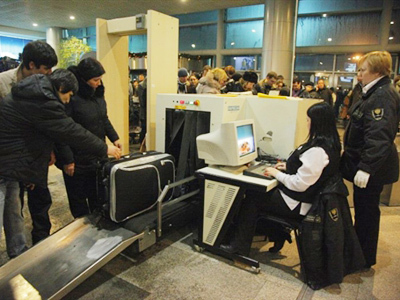 Over one hundred metal detector frames have been set up in Moscow and St. Petersburg railway stations. However, the transport system still lacks state of the art equipment to prevent attacks. Russian special services are also stepping up their cooperation with colleagues in the Central Asian countries in the fight against terrorism. The FSB’s Smirnov led the Russian delegation at a session of the Shanghai Cooperation Organization (SCO) regional anti-terrorist structure held in Tashkent on Friday. All SCO member states offered their assistance after the Domodedovo blast, he said. The attack showed that “the risk of such events still exists,” Interfax quoted him as saying. SCO member states maintain a database of those who are wanted for terrorist activities and persons prone to terrorism.